The site is in Seatown at the junction of Mill Street and Castle Street. Remains: the tower, unusual in that it stood at the end of the aisle; a baptismal font in St. Nicholas is reputed to have come from the friary. 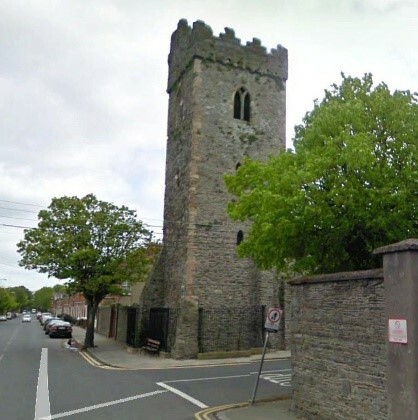 Founded before 1246, Dundalk friary owed its origins to the de Verdon family. Some twenty three friars were killed when it was burned by Bruce in 1315. It was still a Conventual house when it was seized in 1539 by order of Sir Leonard Grey. The friars went to live in a small cottage and they adopted the Observant reform in 1556, just before they were driven out in 1563. The friars returned officially in 1626, when they had a dispute with the Carmelites over priorities. A similar dispute after the Restoration, this time with the Dominicans, involved the Primate, St. Oliver Plunkett. Although there was a community of seven in 1731, the friars left the town in the following year. They continued to work in neighbouring country parishes, especially at Creggan in S. Armagh, where one of them was still working as a curate as late as 1801.